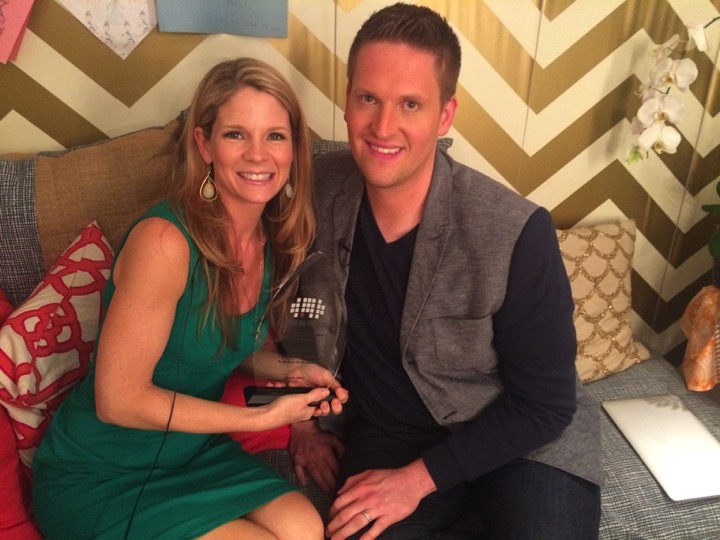 SCROLL DOWN TO WATCH THE INTERVIEW AND SEE KELLI RECEIVE THE "OUR LEADING LADY" AWARD! On Sunday, June 7, famed Broadway actress and fan favorite, Kelli O'Hara (who I profiled here, last year) was finally recognized by the Broadway League and the American Theatre Wing for her remarkable contributions to the stage, taking home her very first TONY Award following a total of six nominations over several years. In the weeks leading up, fans took to social media with a fervor, debating who exactly should win for Best Performance by a Leading Actress in a Musical. Many were in "Camp Kristin" for Chenoweth's outstanding performance as Lily Garland in the Roundabout Theatre Company's revival of On The 20th Century. Others rooted for theater legend Chita Rivera and her performance as Claire Zachanassian in Kander and Ebb's final musical, The Visit (which Rivera has said will likely be her final role on Broadway). However, the support for O'Hara was fierce, and her fans were ultimately vindicated on TONY night as she received the award for her stunning and complex performance as Anna Leonowens in the Lincoln Center revival of The King and I. Weeks before the TONY Awards, our team at Center On The Aisle (#COTA - the website I run in addition to contributing here on The Huffington Post) was also split, but peace came by acknowledging exactly what this incredible recognition represents. All three of these women were frontrunners, and deserved to win for different reasons. However, if the TONY Awards have a weakness, it's that other than its Lifetime Achievement awards, they celebrate only a single performance--not the performer's body of work and total contribution to the art form. To acknowledge this, the #COTA team (with the help of a special celebrity guest included in the video below!) decided to take matters into our own hands and recognize Kelli O'Hara for all of these incredible performances (whether she won the TONY Award or not), which collectively have made her one of the most recognizable and talented actresses on stage today. Check out the video below to see me present Kelli with Center On The Aisle's first ever award, titled "Our Leading Lady."